"To paint the Forth bridge" is a modern-day phrase equivalent to a "Sisyphean task": an endless job that can never truly be completed. * The gigantic struggle of maintaining—cleaning, painting, and repairing—the largest structures on earth is an awesome one, and it deserves recognition. That's the goal of our collection of photos below. *Despite the popular urban legend, however, the huge Forth Bridge in Scotland is not under permanent repainting, and, because of a new paint system, the actual paintjob will last for a period of 15 years. 1905: Six men climbing up a rope beside one of the pillars of the Albert Bridge, London, on which they are working. 1928: Workmen walking down a suspension chain on Tower Bridge, London, during reconditioning work. 1930: Painting the bridge over the Menai straits, Anglesey, North Wales. 1932: Painters give the Brooklyn Bridge its winter coat of paint. The length of the bridge is 1825 m and it is one of the longest suspension bridges in the world. 1935: Construction workers apply a coat of protective covering on the huge cable supports of the George Washington Bridge, which spans the Hudson River, in New York City. 1936: Workmen repainting the rollercoaster at Southsea funfair. 1938: Workmen spring-cleaning Brunel's Royal Albert Bridge which spans the Tamar at Saltash. 1948: Painters at work on one of the lower reaches of Queensboro Bridge in New York. 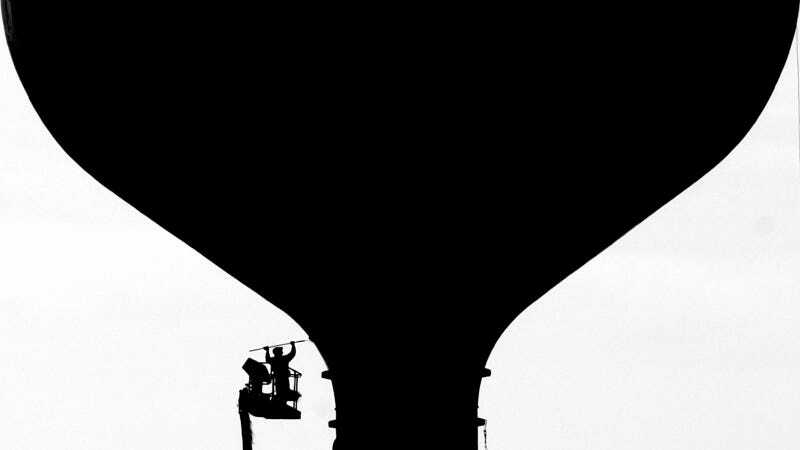 1967: A painter pulls himself up alongside a TV transmitting tower in downtown Miami, Florida. 2003: Sydney Opera House staff scrub off the 'No War' graffiti painted by anti war protesters on the tip of the tallest sail of the Sydney Opera House. 2003, 2005: Painters on the top of the Space Needle in Seattle. 2006: Painters touch-up the Queen Mary 2, the most expensive and largest cruise ship ever built. 2006: Crewmen onboard the Queen Elizabeth II paint the main engine stack while the ship is berthed in front of the Sydney Harbour Bridge in Sydney, Australia. 2006: A Chinese worker paints the water level markings on the Three Gorges Dam under construction near Yichang, along the Yangtze river in central China. 2008: Painters work at the Vehicle Assembly Building. 2009: Contractors paint the hull of HMS Ark Royal, a 20,600-ton Invincible-class light aircraft carrier as she sits in dry dock at Portsmouth Naval Dockyard in Portsmouth, England. 2009: A worker paints a part of the Eiffel Tower as the famous Paris symbol launches one of its regular makeovers, in Paris, France. The project requires 60 ton of paint and will take approximately 18 months to complete. 2010: Maintenance work on the Megyeri Bridge, Budapest, Hungary. 2011: Crews are painting the main cables of the Golden Gate Bridge Bridge, giving them a fresh coat of the span's iconic "international orange" color after almost 75 years. The project is expected to take up to four years to complete and will require tens of thousands of gallons of paint. 2012: A worker cleans the Bird's Nest in Beijing, China.